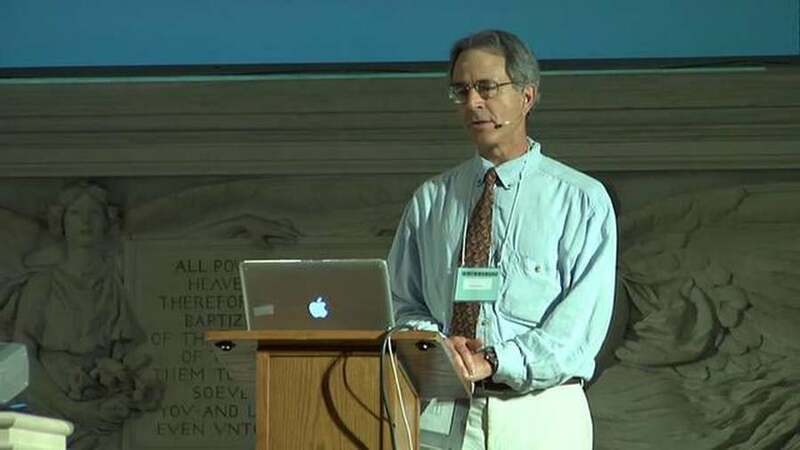 Dr. Rick Strassman first associated the psychedelic experiences of DMT with Buddhist enlightenment experiences. However, Strassman found conflict in his Buddhist community after introducing the idea of the DMT experience and it’s relationship to a Divine Personality (God) and spirits. Dr. Strassman’s original beliefs were more aligned with Buddhism than with Theism. Buddhism taught that all visions, beings, and experiences were simply projections of the mind to be regarded as illusions and distractions. Only “Emptiness” and “Luminosity” were real. Meanwhile, Theism taught that the content of spiritual visions, the existence of spiritual beings, and the nature of telepathic experiences were real, tangible, and relevant to spiritual realization. This placed Dr. Strassman at odds with the Buddhist worldview, which tends to devalue the content of Theistic spiritual experiences. Many people who participated in his DMT research reported telepathic communication with God and other advanced beings, which existed outside of themselves as autonomous agents. However, the Buddhists insist that these experiences are simply the result of imagination. Strassman has described how people applying the traditional Buddhist model perceived ideas of enlightenment and spirituality as simply byproducts of the mind. That there were no real or significant external forces that could act upon us or interact with us (The Theistic model). For contextualization of these multi-dimensional spiritual experiences, Strassman turned to the Hebrew Bible/The Old Testament scriptures. His research contextualized the DMT experience of multiple realities and helped him to draw new conclusions from his previous psychiatric experimentation on the functions of DMT in the human brain. Strassman has argued that upon first reading the bible it didn’t make sense, especially with the idea that illusionary external forces could exist. He explained, however, that it would take a psychedelic mindset to understand alternate realities beyond modern society’s limited view on the temporal body. Rick Strassman has explained that at the core of the bible he found there to be a prophetic state of awareness, which is similar to visions experienced while on DMT. Strassman concluded that most of the western culture’s religious beliefs had been founded on ideas produced by prophetic visions, which are similar to those found in the modern-day DMT-induced psychedelic experiences. The content of the prophetic state includes auditory communication with spirits in the bible, telepathic communication with God, and visions that reveal the nature of reality and the means for achieving mystical powers. An Objectively Real World . . . Outside of “The Matrix”? Strassman concluded that his DMT experiments may suggest the possibly of an external spiritual world, which is objectively real. This reality may actually be independent of and interactive with the human mind, rather than a by-product of it. His experiments suggested that perhaps DMT was a unifier between our physical reality and the other mystical realities that are much larger than our own. As evidence of the cross-cultural awareness of these realities, Dr. Strassman has indicated Latin American Shamanic practices, describe how participants in their spiritual rituals experience leaving the physical world. They do this ino order to enter into spiritual realms with other sentient beings. These sentient beings are said to speak to people as guides with an awareness of life and life after death. Strassman has clarified that he sees two models of religious practice. First suggesting a “true” religion – a religious practice of direct experience of reality. The second, an unquestioning deference to clerics and their ritual practices. Strassman suggested that these are based in two parts, one being a meditative contemplation, and the other, a spiritual deprivation of the human mind playing on hopes and fears. Dr. Strassman claimed that it was a stumbling block that some have turned toward Eastern traditions to the exclusion of the Western prophetic explanations of spiritual realms and the importance of receiving spiritual guidance from those realms. Furthermore, he stated that one can see God as one of the most subtle and abstract concepts of all time, and he explained that for all of human existence we have sought after larger spiritual forces beyond the physical body and that we must strive to understand how and why the mind seems to yearn for engagement with those forces.